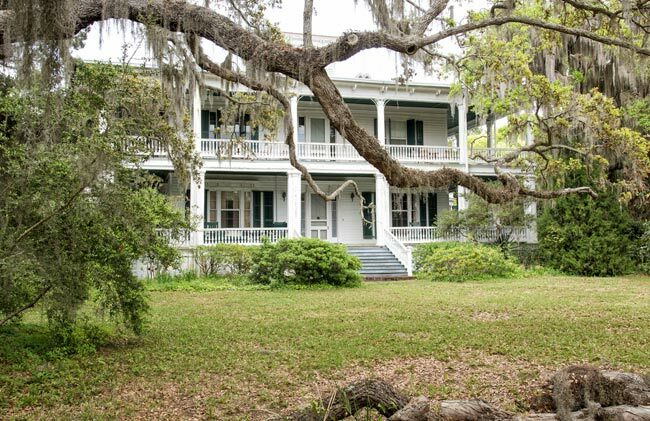 “The Oaks” was the name bestowed upon this Beaufort home built in 1855 for Colonel Paul Hamilton. Colonel Hamilton’s father, also named Paul Hamilton, served as both governor of South Carolina from 1804 through 1806 and as United States Secretary of the Navy under President James Madison from 1809 until 1812. 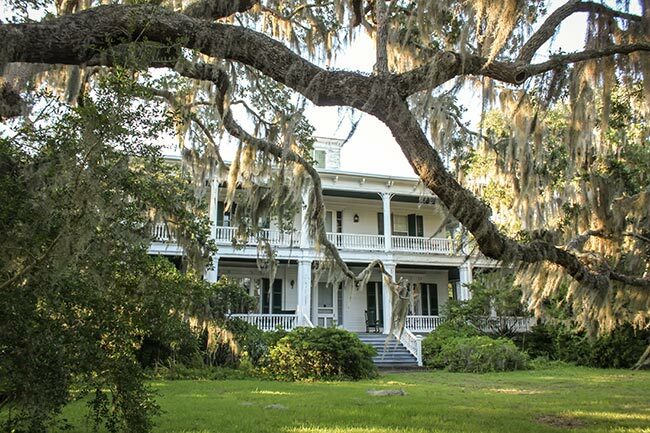 The stately manse sits across Short Street from The Green – a public park occupying one city block – and faces the Beaufort River in the Old Point community of historic downtown. Visitors should note, however, that it does not face the park, and despite its address at 100 Laurens Street, its front entrance is actually accessible via a dirt drive that extends from the west of King Street. 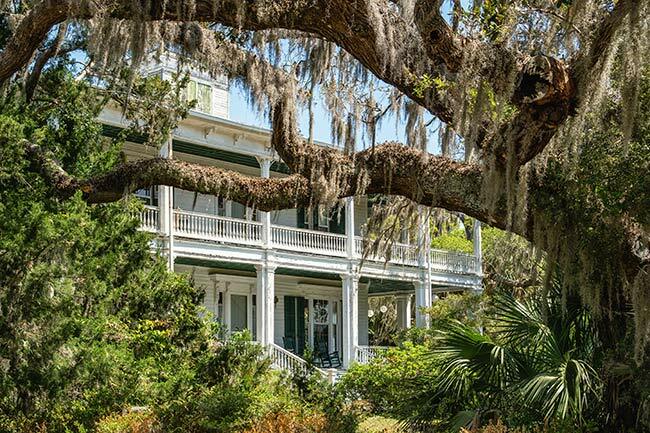 The Paul Hamilton house is rightfully considered one of the handsomest places in Beaufort. It occupies a beautiful situation on “The Point,” to distinguish this section from “The Bay,” which is noted for its magnificent live-oaks. The house overlooks a slightly terraced garden leading down to the water’s edge, with a quaint sea-wall on three sides to prevent the tide from overflowing the flower beds. The building is of the usual square style common to the Sea Island dwellings, which are designed for coolness and airiness. The principal features of this low-country architecture are the wide halls, rooms with high ceilings, and large verandas, all of which make for comfort in these southern latitudes. The Hamiltons are a distinguished family in South Carolina history. Paul Hamilton, Comptroller of the State from 1799 to 1804, showed that, in time of stress and danger South Carolina had, during the Revolution, contributed more than five million dollars for the general defense. He also possessed a clear and systematic head, and made the first reports on the resources, debits and credits of the State ever compiled. His reports astonished the legislature, as they then for the first time knew their real fiscal condition, and were enabled to deal intelligently with the resources of the State. From 1804 to 1806 Paul Hamilton was Governor of South Carolina, and became Secretary of the Navy in 1809, which position he occupied until 1813. Another Hamilton, James, occupied the gubernatorial chair from 1830 to 1832, one of the most exciting terms in history, because of the Nullification Movement. 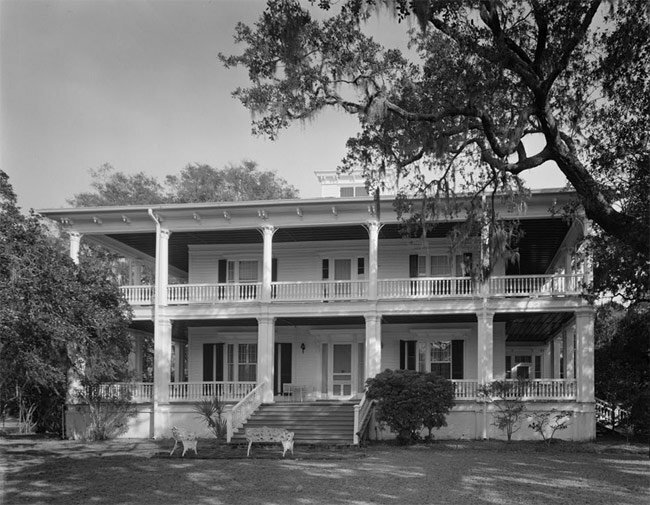 Miss Mary S. Hamilton, a noted educator of Beaufort, and daughter of Colonel Paul Hamilton, now occupies the Hamilton house, and gives the following account of it: “Colonel Hamilton’s house on the point was built in 1856, and planned by his wife and himself. We lived there for five years, and when the fleet entered the harbor in November, 1861, left the house until September, 1866. The story of its recovery may be of interest. The United States Government refused to rent any property to a former owner. They sold the homes in Beaufort for taxes and even when they paid the war tax back to the owners they only gave one-half the tax value and five dollars an acre for the land. Our home had been retained by the government for a hospital. I proposed that my uncle (Dr. Gibbes) who was living with us should write and offer to rent it, as the war was over and hospitals no longer required. He did so, and it was rented at once to him, so that in September, 1866, we returned in a wagon drawn by mules, and lying on mattresses, a happy crowd as we reached our old home after an absence of nearly five years. In November the house was put up at auction for sale. My father stated to the crowd gathered that it was his wife’s and her children’s and he would bid it to a million against another bidder who wanted it as a normal school for Negroes. It was, however, knocked down to him at fifteen hundred and fifty dollars, a fortune in those days. He asked the court to allow him three days to visit Charleston and sell several lots my mother owned there from her English ancestors. We had no railroads to Beaufort then, only steamers, and it required three days for the round trip. They consented and he went to make the necessary arrangements. On the second day near sunset my brother of ten years came running in to tell us that at sunset the house was going to be sold. I went downtown to see if the Mayor, Colonel William Elliott, could stop the sale. While waiting at his home my uncle came in to announce the good news that Mr. Simpson, the express agent, and Mr. [George] Holmes, a [New York] merchant [who resided in Beaufort], had heard of the proposed sale, raised the money among the business men and just before sunset paid for the home in the name of Colonel Hamilton. I had said that I would never shake hands with a Yankee, but that night across the counter I offered mine in thanks to Mr. Holmes. My father was successful and they were repaid on his return the following day. A Frenchman paid for the Edgar Fripp house back of ours, and would not allow the money to be returned, going away and leaving no address. 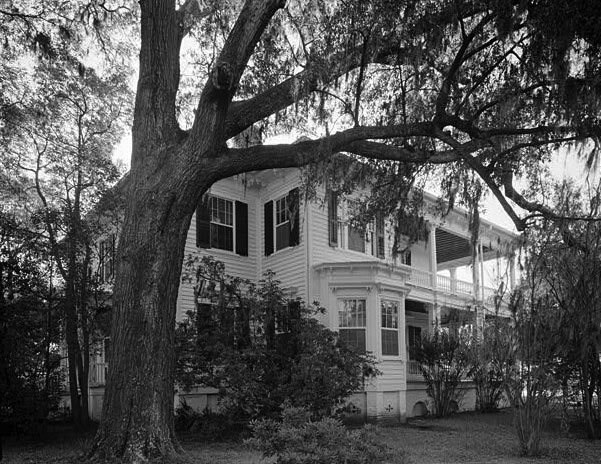 The Oaks is listed in the National register as part of the Beaufort Historic District. Beautiful home. I would love to see it one day. I am related to this family.